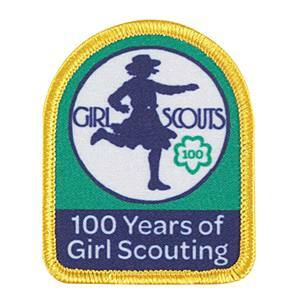 Posted on March 12, 2012, in 100th Anniversary, Girl Scout Day (March 12), Girl Scout Holidays, Juliette Low, WAGGGS and tagged birthday, Girl Scout Week, postaweek2012. Bookmark the permalink. 2 Comments. Thank you for providing “a blast into the past” as the old saying goes. Have a joyous 100th. Which I could come his summer to GA for the 100th year celebration like I did in Los Angeles,CA for I believe our 50th. It was very fun. Have a good one everyone. For the Girl Gudies, I have a movie called “Her Majesty”. A story about a Murai princesses, a girl guide named Elizabeth (whose idol is Queen Elizabeth) and the struggles she goes through for being the Murai islanders friend. It’s a nice movie if you haven’t seen it.